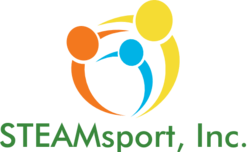 Want to bring STEAMsport, Inc. programs to your community, school or site? Complete the form below for more information. Please indicate the STEAMsport, Inc. program(s) of interest. Keep in mind competitive programs can only be offered during the time of the competition. Essential programs can be offered at anytime.